The supernatural and fantasy shelves at the bookstore are overflowing with books looking to be The Next Best Thing. As with any genre that hits high levels of popularity, it has become saturated with many all too similar tales. Yet there is always a couple that stand out. 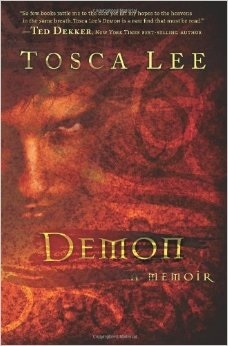 Tosca Lee‘s Demon: A Memoir takes a turn away from the urban action or romance-centered supernaturals. What if a demon, who had been around since the beginning, showed up and wanted you to write its story? That’s exactly what happens to writer Clay one day. The demon Lucian, who appears as a different human in each encounter, relates his personal experience of the Universe’s creation, the rise of Evil and the arrival of man. Eventually, though, Clay and Lucian’s story become intertwined. In many ways a thought-provoking book as it progresses, which adds depth to an entertaining page-turned. Ironically, though, I have seen readers complain when they weren’t warned that a book might challenge them or leave them some items to ponder. Can’t make everyone happy, I suppose. Mande Matthews introduces readers to her ShadowLight Saga with the short The Light Keepers. Astrid, oppressed and locked away by her mother, is no ordinary girl. Her abilities have been growing and, of course, the evil in the world wants her for their own insidious plans. This prologue also includes a sneak-peak at Bonded. The Light Keepers will definitely leave you wanting to know what is to become of Astrid in what looks to be an epic saga between Light and Darkness. And speaking of that, I have previously reviewed Morgan L. Busse‘s Follower of the Word series that begins with Daughter of Light. 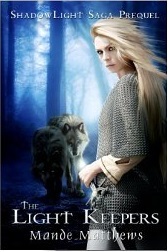 It is the story of Rowen Mar, another young woman who is learning she is not another average human in the Lands. Evil is rising and she is being called to make a choice, lead the fight or deny her gifts. Good and evil here aren’t the vague ideas of many novels. There is something real and tangible behind both. This book seems almost a prologue to a much longer story. The characters are just beginning to realize who they are. Evil is still spreading through the countryside and they have yet to fully engage in the struggle. All of these books are about the battle between Darkness and Light. Why do so many explore this conflict? Quite simply because fiction is often inspired by fact. Have you checked out Janny Wurts’ The Wars of Light and Shadow? A cliche-shattering epic. Great magic too. No, not yet, but sounds good.